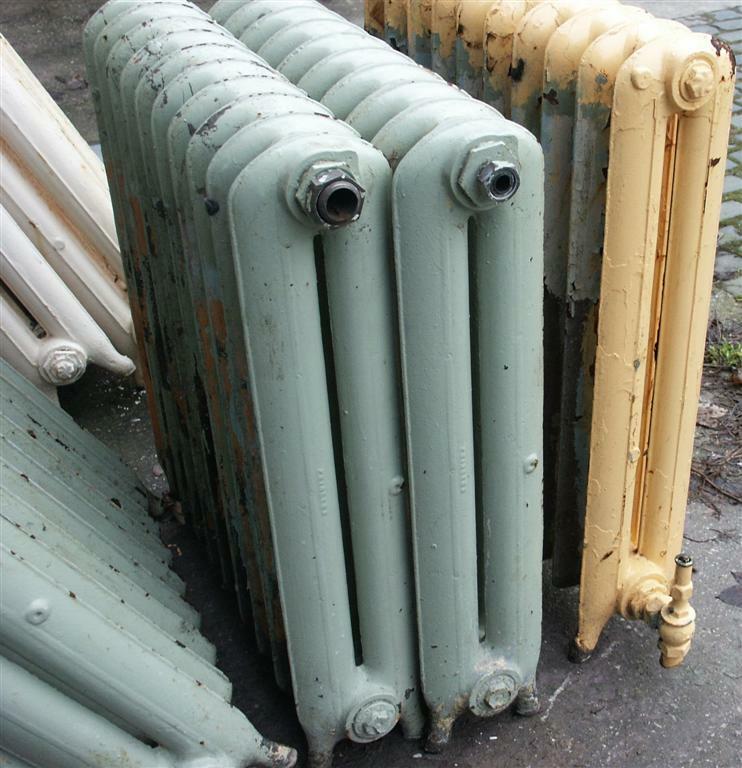 I have a large quantity of reclaimed cast iron radiators in stock.These can be sold as seen or fully or partly refurbished.This includes removing old bushes ready for new ones to be plumbed,flushing through the radiators,pressure testing,removing old paint and priming. These ones are princess or double columned,are all about 7.5 inches deep and date from around the 1920's. 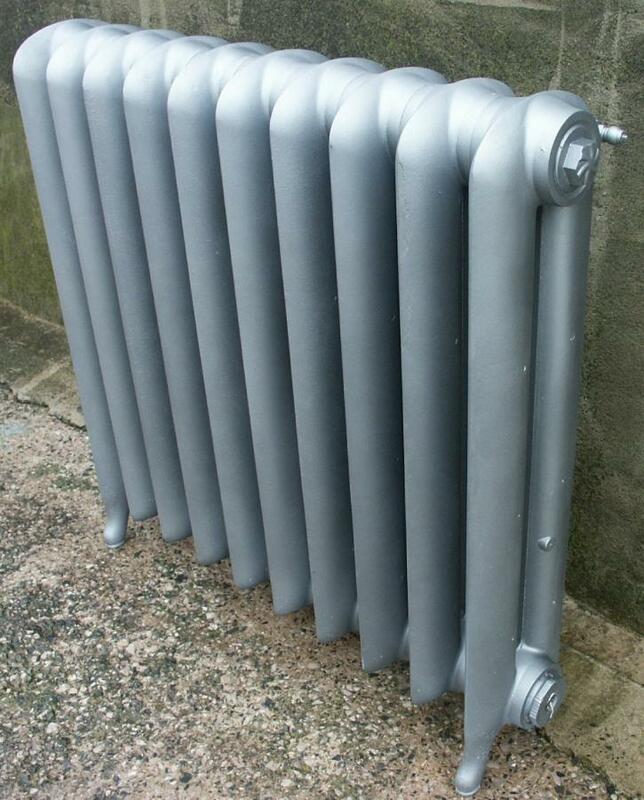 If you need a set of radiators please get in touch and i will do my best to advise and put a batch together that suits your needs. 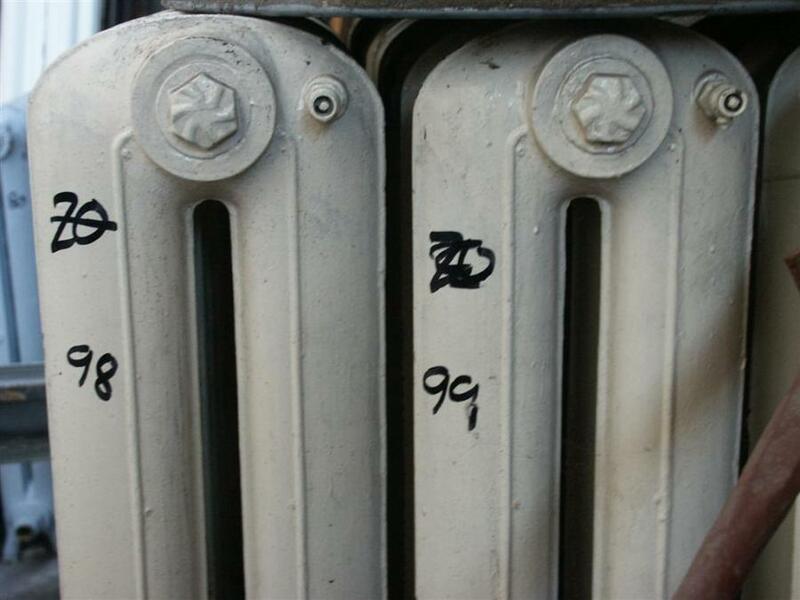 I have heat outputs for these radiators. 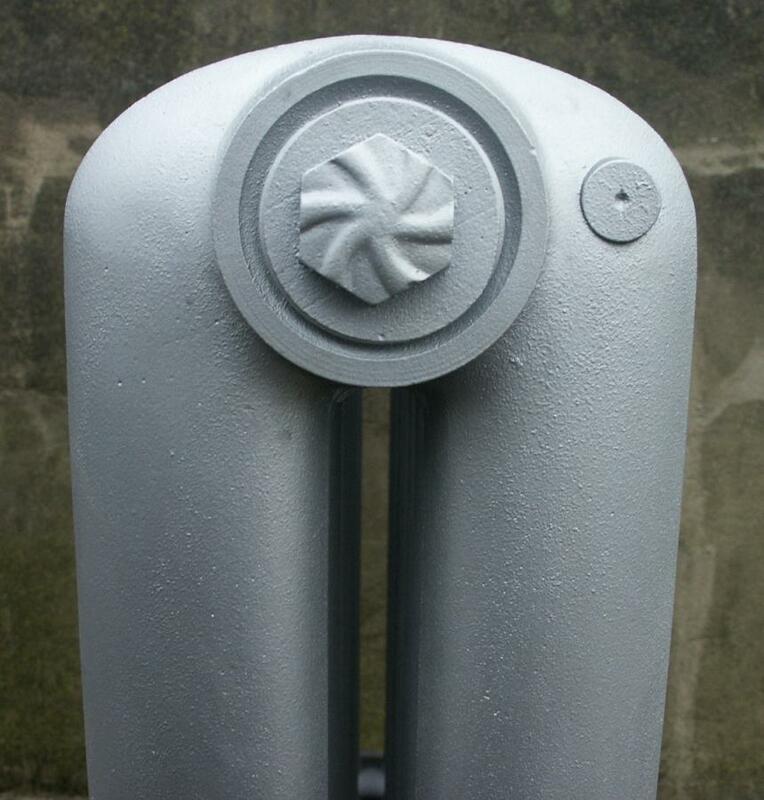 Pictures show a refurbished double columned radiator in a high quality pewter metallic paint and some radiators "in the raw"